Thoughtful birthday present | Life's Conundrum - Eat to Live or Live to Eat? Coconut and chilli prawns with a sweet chilli dipping sauce. There was one other person attending and we split the tasks of prepping and cooking. 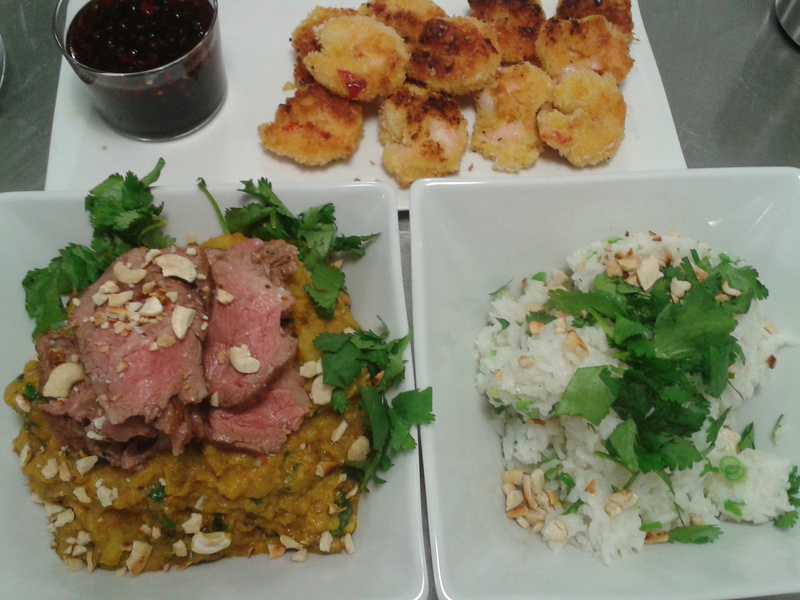 We did lamb 2 ways – one was seared cubes cooked slowly in the curry and the other was cooked medium rare on the hob. The session was guided by a well experienced chef who’s past assignments have included 1/2/3 Michelin star restaurants and five star hotels. The sweet chilli dipping sauce was an eye opener and will definitely feature on our next dinner party menu. 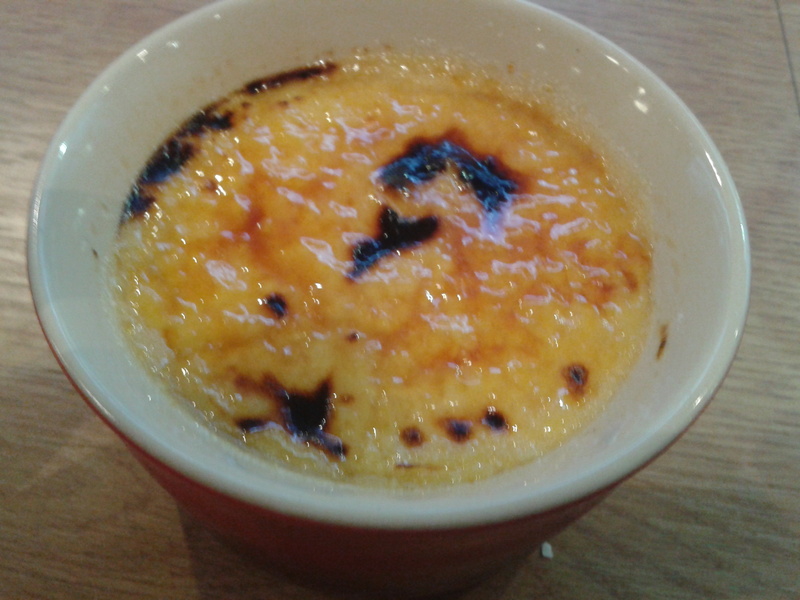 The twist on crème brulee using Thai flavours has me inspired to play around with a few other flavours. Best part of the afternoon was getting to play with the blow torch for the first time on the creme brulee (hint to Anna – we need one of these in the kitchen!) I thoroughly enjoyed the afternoon and it has reinforced my passion for the culinary arts all the more. Rathi & Ramesh thank you for your generous and thoughtful gift – I guess you know what we are having for dinner the next time you are over here. Posted on March 13, 2014 by Anna and Shiv	• This entry was posted in Uncategorized. Bookmark the permalink.